The VTCT Level 2 NVQ Diploma in Beauty Therapy General (QCF) is a professional vocational qualification for learners seeking a career as an employed and/or self-employed beauty therapist. 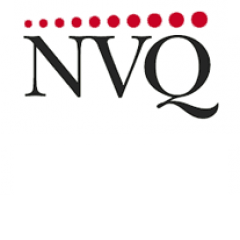 On completion of this training course you will gain the FULL NVQ qualification. You will be able to choose from a range of individual training dates to suit you. You will learn at your own pace with the distance home learning programme, you could become a fully qualified therapist within 6 months of enrolment ! In the meantime whilst you complete each practical training day (and any case study's that apply to the day training) you will be given a SurePass Diploma certificate completely FREE !! This means you can start earning whilst your learning !! TRAINING DAYS: You will be required to attend 5 1/2 days Practical Training Days. You will need to complete home study/portfolio work and attend (min) 3 practical and 1 written assessment day. Become a fully qualified therapist in less than 6 months! EQUIPMENT: SurePass will provide all the tools and equipment for use on your training days. However you will need to purchase items to use for your home practice, during each course we will guide you on what to buy and where from. You will be required to use your own kits on exam assessment days. DRESS CODE: You are required to wear salon attire throughout attendance: Black trousers, salon tunic, closed toe black shoes. Makeup and hair tied back. EXISTING STUDENT OFFER: If you have previously trained with SurePass on one of the units included you will be entitled to a reduced price ! (Save up to £350!) Contact a SurePass NVQ adviser now to discuss ! Following each instalment you are able to book another course of your choice. Month 6 - Payment of £200 - You will be able to submit your portfolio for assessment & book your final written/practical assessment days ! We operate a strict no refund policy and you will be liable for the entire fee, even if you withdraw from the course. Please refer to our terms/conditions/cancellation policy for more information. Question: How long do I have to complete the Beauty Therapy NVQ ? Answer: You have 18 months from the moment you enrol to complete your full NVQ including coursework and exams. Coursework and exams can not be undertaken after this time.